Our online registration system lets you enroll and pay for the classes you need anytime day or night. The system is convenient and secure and allows you to create a student profile so you can view your past transactions, download your course transcript, and print copies of your CEU certificates when you need them. Creating a Student Account and registering for a course is simple, just follow the steps below. If you have problems or need assistance call (662) 325-5002 between 8:00am – 5:00pm, Monday – Friday. Select the class title of the course, then select the section you want to register for by clicking the “Add to Cart” button. Once you are signed into your student account you will be taken back to your “Shopping Cart” page. Review the items in your cart and make any needed changes. When you are ready to complete your registration click “Check Out”. Select your “Payment type” (we only offer payment by debit card/credit card). A new window will open and ask for your payment information. Once you have completed the payment process you will be sent an email confirming your registration and payment. 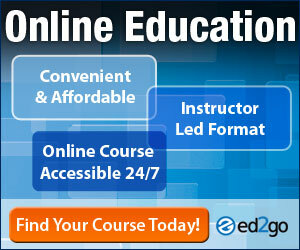 Our online classes are offered using the learning management system Moodle. If you are enrolled in any of our online high-school classes, TummySafe, or online forestry classes (Ethics and BORF) you can access your course by going to: https://olp.msucares.com/moodle/login/index.php and entering your username and password. If you have forgotten your username or password, you can request it be sent to you by clicking the “Forgotten your username or password?” on the login page. If you have trouble logging into your course, please call (662) 325-5002 for assistance Monday – Friday, 8:00AM – 5:00PM. Refunds will be issued in the form of payment received, with the exception of cash. Any course cancelled by the Center for Continuing Education will result in participants receiving a 100% refund or course credit to be used toward another class. To cancel a course registration participants should contact the Center for Continuing Education at (662) 325-5002 or email cce@ext.msstate.edu prior to the class start date. Failure to cancel a registration will result in a student “No Show” and negate any refund of course registration fees. Less than 3 business days prior to the class start date – 50% refund or 100% transfer of fees to an upcoming class. Failure to notify the Center for Continuing Education of class cancellation – 0% refund or $25 service fee to transfer fees to an upcoming class. Parking permits are required for all vehicles parking on MSU’s main campus from 8:00 am – 5:00 pm, Monday through Friday. Continuing Education students taking classes during normal university hours (Monday – Friday, 8:00AM – 5:00PM) will receive a guest parking pass from their course instructor the first day of class. These passes are to be placed inside your vehicle and visible at all times. All parking restricted lots (Reserved, Service Zone, Exclusive Service, or Handicap) apply 24 hours, 7 days a week. Any vehicle utilizing metered parking must pay the meter. Map of available parking on MSU campus. Our classes are offered in several locations around the state and in Starkville, MS at Mississippi State University’s main campus. Below is a list of our on and off campus class locations to help you find your way to class. If the class location you are looking for is not listed, please call (662) 325-5002 or email us at cce@ext.msstate.edu and we will be happy to assist you! Click the “Student Account Login” link at the top of the CCE homepage. Sign in to your existing account using your username and password. If you have forgotten your username or password click the “Find my Username” or “Rest my Password” link. The most frequently requested CCE forms have been provided below. If you do not find the form you are looking for, please call (662) 325-5002.